My cell phone ring jolted me awake at 5:47 a.m. on Sunday, May 6. I’m not an early morning person, but I was thrilled to hear Mandy’s voice when I answered. “My water broke and I’m on the way to the hospital,” she said. Cate’s bags had been packed for weeks, but somehow Greg and I hadn’t packed our own clothes. Only the beginning of parenthood, I soon realized. We managed to be out of the house by 6:30 a.m., ignoring the dirty dishes on the kitchen counter as we locked our back door. Little did I know, this would be the first of many times in my life as a mother that dirty dishes (or any other chore) would have to wait. We were at the hospital by 12:10 p.m. to await Cate’s arrival, which came about 14 hours after the birth mother arrived there and called us. Mandy was amazing, even during the back pains and labor. It takes a brave woman to be generous, gracious, and strong when she’s preparing to deliver a baby she believes was meant for someone else. We were in the room when Cate was born, and saying I’m thankful for that experience is an understatement. People asked if being in there was strange, and I would have thought I’d say it was. 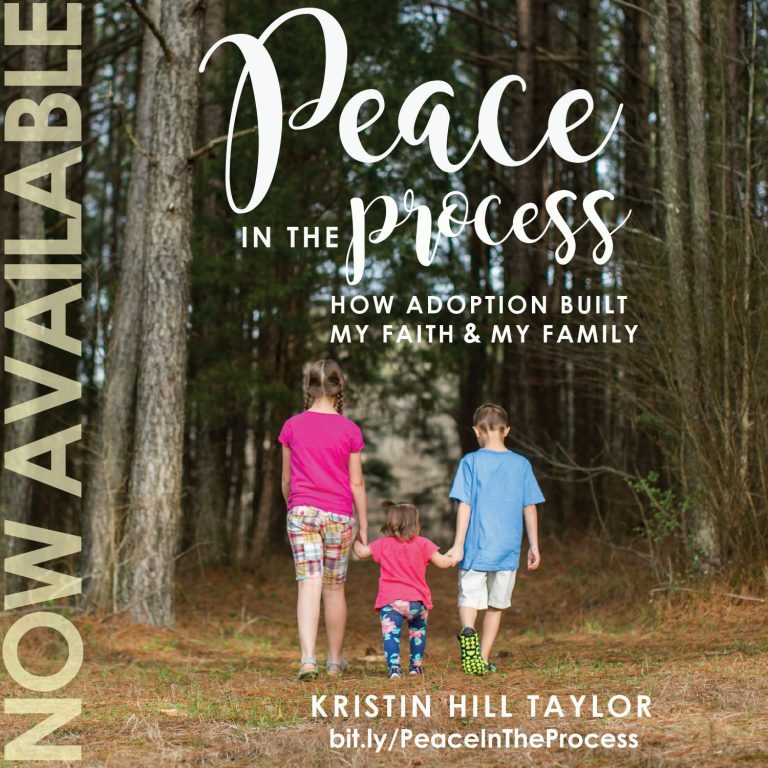 But, like the whole adoption process, the birth experience was meant to be – something I can only say because the Creator of the world orchestrated all the details for it to happen, leaving us with the peace that surpasses all my understanding. We saw our 8-pound, 20-inch girl as soon as she entered the world. Cate had some inconsistent breathing at first, so they put on her the smallest oxygen mask I’ve ever seen. We watched as they cleaned her up and tended to her. She gripped our fingers. Then they took her to the nursery and kept her on oxygen for a short time. Finally at 4 a.m., the nurse brought our daughter to us. I fed her and then held her for three straight hours. Those were the moments for which I’ve been waiting. And, man, were they worth it. And you know I’m not even a morning person. 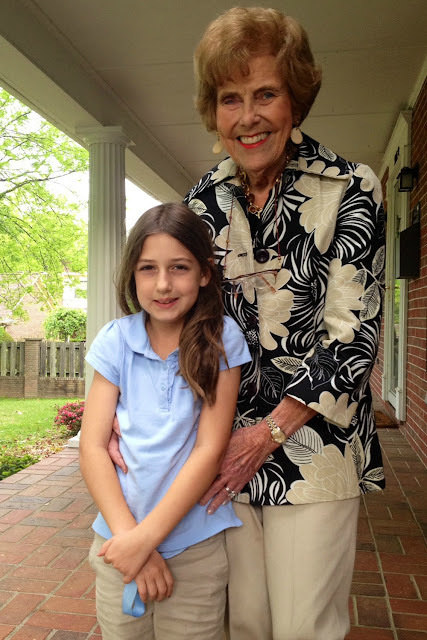 Cate and her great-grandma Anna Faye, who is her middle name sake. I like to tell your story – about deciding to adopt, meeting your birth mom, being there when you were born, bringing you home, and mothering you since – because it’s my story too. 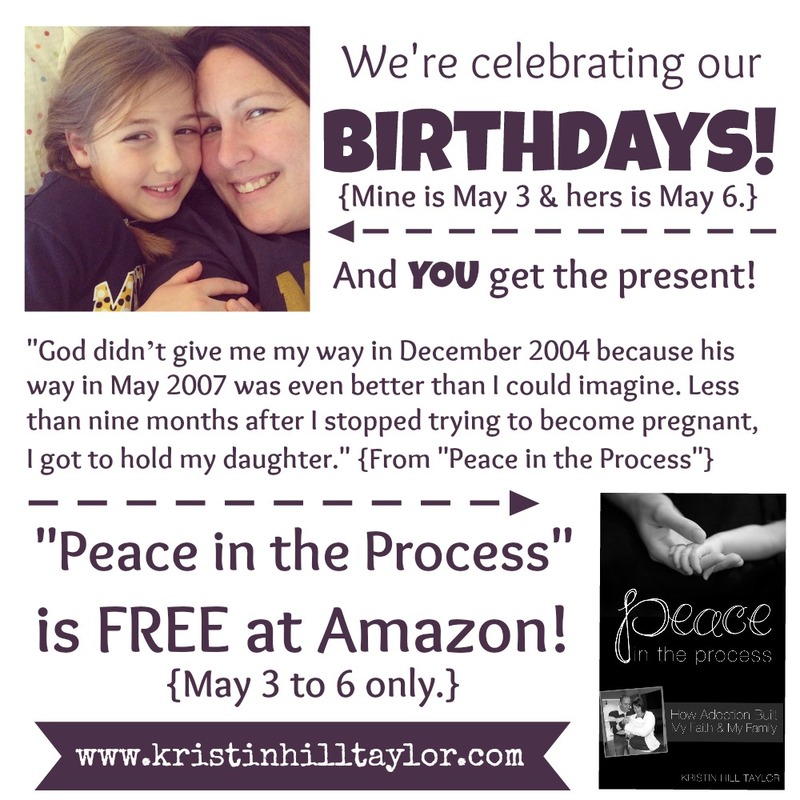 Becoming a mom was a faith journey for me. Revealing more and more details to you has been special the past couple of years. Reading the story of your actual birth makes the day seem like yesterday. But it was eight years of yesterdays ago. I was driving the other day to pick you up from the bus, thinking about what I want to tell you this year. You’ve seen the picture of Mandy holding you when you were less than 24 hours old. You know the basic story. And you’ve met her. Like Daddy and I want you to know you are chosen and loved by us, God wants us to know that too – yes, on our birthdays, but every other day of the year too. He chooses us when we mess up and when we need to apologize. He chooses us when we do well and pass the test. He chooses us because of what Jesus did on the cross and not because of anything we can do here on earth. It’s message my soul has needed for a long time. And it’s the message I want you to know too, sweet girl. When I was driving along in the mini van recently, thinking about this and how you’re turning 8, a song came on the radio. I had to Shazam it because the words were perfect. don’t live life in fear. I know God’s got his hand on you because he has from the beginning – he long before you were created in Mandy’s womb and well before I held you in those early hours of May 7, 2007. In these past years, you’ve taught me more than I imagined a kid could. But, really, we’re a lot alike and God’s used that to grow me and change me. Mothering you has forced me to understand myself better. I pray you are strong in the Lord forever, never giving up hope. With God, you’ll do amazing things. Cling to the peace that passes all understanding, not the fear that can creep in. And let’s not forget why we’re here. Cate, I’m so glad you’re here. It’s a joy to be your momma. Other birthday posts :: 1. 3. 4. 5. 6. 7. 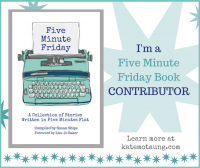 This is my first time linking up on your site. I'm looking forward to many more opportunities. The song lyrics you heard are a great reminder to carry on with the Hope of God. Thank you for the encouragement. Thank you for being here, Jenny! I'm glad you linked up! What a beautiful testimony of God's faithfulness you share here, Kristin. I have often looked at my kids when that song played on the radio, with tears in my eyes because I cry at everything, and said, " This is what I wish I could say to you so often." And it is a momma's heart that wants to sheild and protect, yet also send and secure them on their journey. I loved that you shared a piece of your celebrating with us here, lifting up your girl and sharing your heart with your book. Thank you. Kristin…This is so beautiful and there are tears as I read these words. What a precious story God has written over Cate's life – yours and Mandy's too. What a gift Cate is and what a joy to read about your journey. The words from that song are the cry of ever mommy's heart, aren't they. So glad we travel this journey of parenting with a loving and gracious God on our side! Blessed by your heart, friend. Thank you for sharing. Happy birthday Cate and Kristin! Loved your book on adoption! Happy Birthdays, you two beautiful ladies. Thanks, Cathy! I hope you enjoy it! Thanks, Alecia! 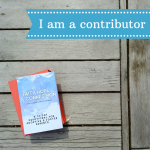 I hope you are encouraged by our story. So glad, Katie! Thanks for the birthday wishes too! Thanks, Susan! Would be willing to take a few minutes to leave a review of it at Amazon? I'd really appreciate it! So glad you're here, Kim! That song should be an anthem to mothering. So grateful we don't have to do this life, especially parenting, alone! And I'm glad you're here with such sweet encouragement.